Only ripe and healthy mangos of the “Carabao” mango variety from the Philippines are processed into an incomparable fruit puree. Only ripe and healthy mangos of the “Carabao” mango variety from the Philippines are processed into an incomparable fruit puree. 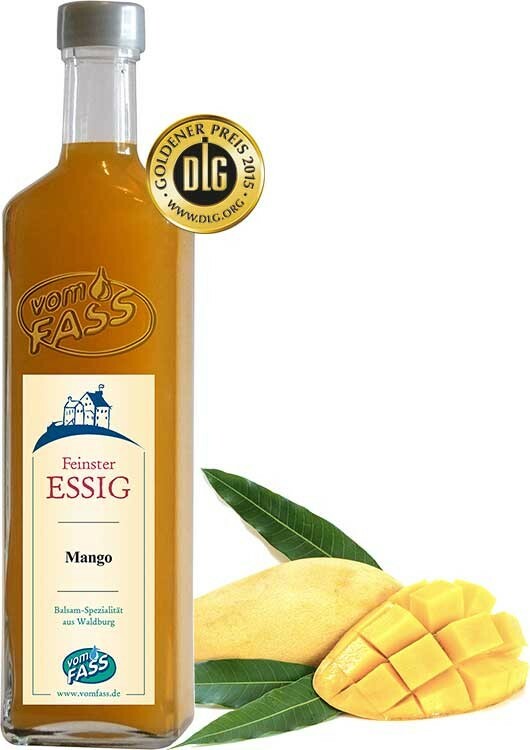 Our fair trade mangos come from the tropical island of Cebu and create a fresh, fruity sensation. 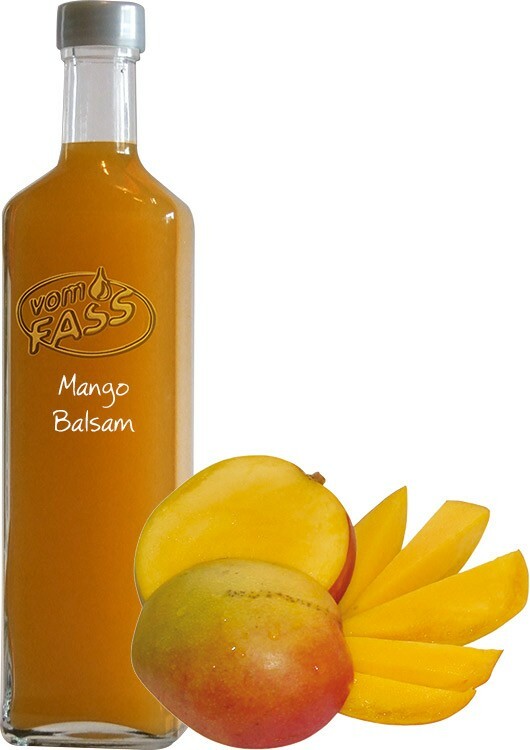 In the vinegar manufactory, this rich and high-quality mango puree is used to create an excellent, fruity and refined balsam. 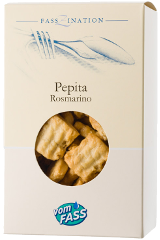 The mellow and sweet aroma of the tropical mangos will literally make your mouth water! This exotic vinegar is ideal for leafy salads, poultry and wok dishes. 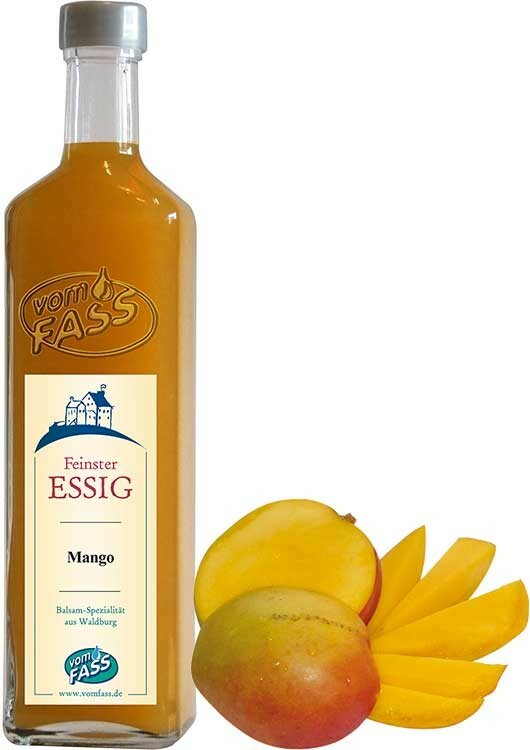 Distilled vinegar (60%), mango purée* (28%), cane sugar*, flavor, * from Fair Trade. Chili Oil, Avocado Oil, FassZination Styrian Pumpkin Seed Oil, any VOM FASS Extra Virgin Olive Oil.